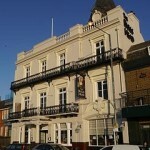 If you're looking for pubs or bars in South West London then you've come to the right place. We've got listings for every pub in the area, and with more and more becoming fully registered members every day there's more and more that you can find out about what's going on and who's who. 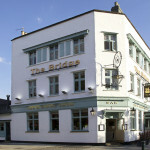 THE BRIDGE IN BARNES IS BACK AND BETTER THAN EVER BEFORE! 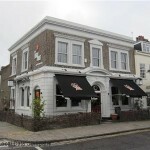 We are an independently owned gastro pub tucked away in the back streets of Barnes, near Richmond, in South West London. We are a dog and kid friendly pub. 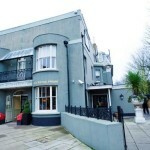 The pub, located in leafy Barnes, on the banks of the Thames, mixes simple and elegant design with a rich musical history. 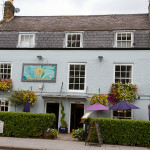 The Bulls Head offers an array of fantastic, modern British dishes with a comprehensive drinks list. A Fuller's pub & proud. We cook food , we serve beer. We love our pub. Current holder of @morningad's 'Best Cellar'. Home of The Great Sausage Roll Off. Overlooking the famous Barnes village pond, The Sun Inn is a gem of pub serving fresh, tasty pub food and great beer in a friendly and relaxing atmosphere. 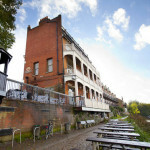 Tree House in Richmond upon Thames serves food. The pub has an outside area, it serves real ale. Here at the White Hart we pride ourselves on being a pub at the hub of a bustling community. 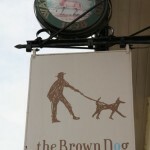 With great service, the finest ales and food that has received rave reviews, we are waiting to impress you.